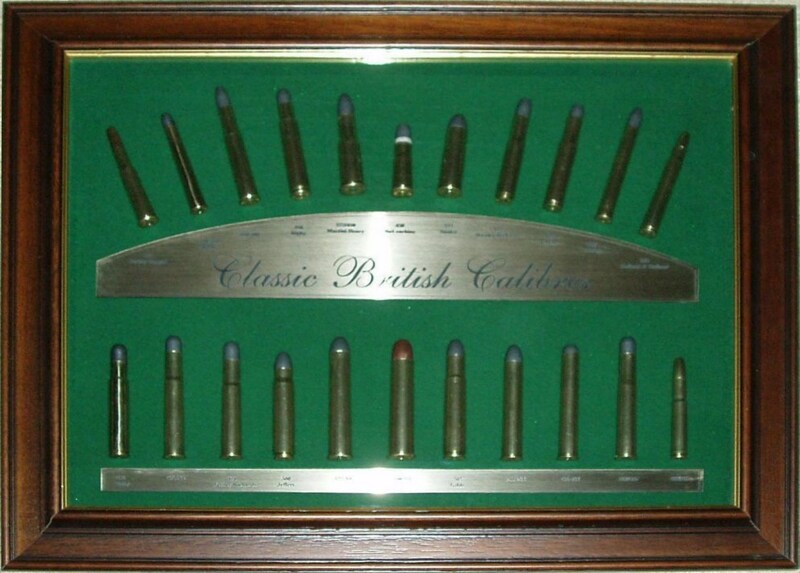 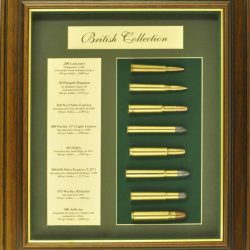 British Calibre collection containing the following deactivated rounds by well known British Rifle Manufacturers. 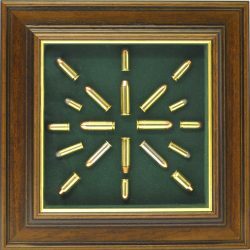 600 NE, 505 Gibbs, 500 Jeffery, 450 Rigby, 577/450 Martini Henry, 577 Snider, 416 Rigby, 400 Jeffery, 404 Jeffery, 400/350 Rigby, 333 Jeffery, 375 H&H. 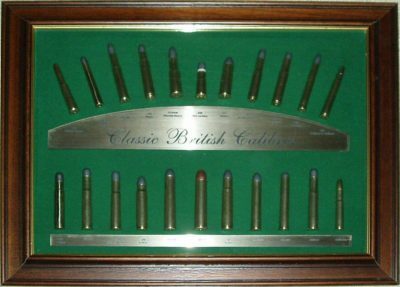 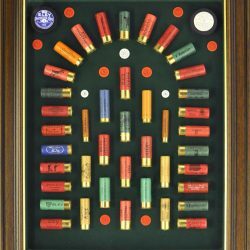 Housed in a 50mm antique frame with bottle green mount, green baize background and brass coloured name and information plaques.